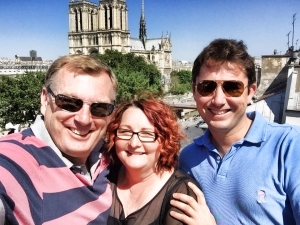 On this half-day tour, your experienced guide will share with you his knowledge and experience, and lead you to the best places on the Ile de la Cité to see Notre Dame cathedral, the Sainte-Chapelle, the Palais de Justice and the Conciergerie… The purpose of this tour to understand the origins of Paris !!! There is no better place to start a tour of Paris than the Ile de la Cité. It stills remains the heart of Paris nowadays. 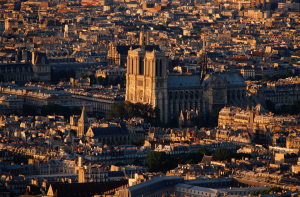 After meeting your guide near Notre Dame, you will be given a complete introduction of the Ile de la Cité and you will then discuss with him your wishes for the morning. Ile de la Cité is where Paris began. It was settled in around 300 BC by a Celtic tribe, the Parisii, and in 52 BC was overrun by the Romans, who built a palace-fortress at the western end of the island. It became in 508 with Clovis the center of the French Kingdom. Today, the Ile de la Cité remains the heart of Paris with the Prefecture de Police, the Palais de Justice, the Hôtel-Dieu hospital and the Tribunal de Commerce. All road distances in France are calculated from the 0 km point located in the Place du Parvis de Notre-Dame, the square facing Notre-Dame’s pair of western towers. After this complete introduction, you will follow your guide inside Notre Dame where you will enjoy a private visit of the Cathedral and relive the most memorable moments of the cathedral, including the Coronation ceremony of Napoleon Bonaparte on December 1804, the Te Deum Mass to celebrate the liberation of Paris on the 26th of August 1944, the Requiem Mass of General Charles de Gaulle on the 12th of November 1970 … The cathedral is widely considered to be one of the finest examples of French Gothic architecture, and it is among the largest and most well-known church buildings in the world. Thanks to your guide, you will learn about all the secrets of the construction of the cathedral and discover how the building was saved after the Revolution. If you wish, you will have the chance to discover the treasury of Notre Dame during your visit (Additional of 5 euros per person). 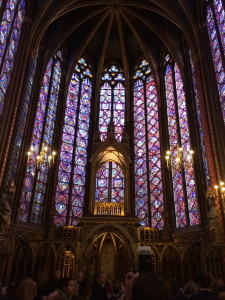 It is now time to visit the Sainte Chapelle , renowned for its exquisite stained-glass windows. Built by Louis IX between 1242 and 1248 to house a collection of holy relics (the Christ’s crown of thorns and fragments of the True Cross), the Sainte Chapelle is the only part of the Ile de la Cité‘s old palace that remains in its entirety. You will be amazed by the 1113 glass panels, two-thirds of which are original. They tell virtually the entire story of the Bible, beginning on the north side with the Genesis, continuing with the Passion of Christ and the history of the Sainte Chapelle relics, and ending with the Apocalypse in the rose window. After that, you will explore the Conciergerie prison, one of the few remaining vestiges of the old medieval palace. Between 1792 and 1793, over 2700 people who had been condemned to death spent their last hours here. Among the victims was Queen Marie-Antoinette, who was guillotined on October 16, 1793. You will learn about the prisoners detention conditions whilst discovering the cells of this famous revolutionary prison. 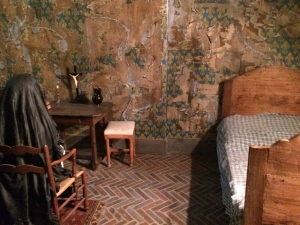 The highlight of the visit will be Marie Antoinette’s cell restored to mark the bicentenary of the revolution. With your guide you will relive every hour of the long ordeal before her execution. Tour ends at the Conciergerie . Tickets to the museum are not included.